April | 2015 | The Intraracial Colorism Project, Inc.
Join Dr. Culbreth and guest, Dr. Shandra Terrell Williams for Grant Writing in a Nutshell and listen as Dr. Culbreth talks about A Reality Check in Baltimore: Indeed It Takes A Village. Grant Writing and A Reality Check in Baltimore: Indeed It Takes A Village. My name is Mary Torres I an a doctoral candidate in the Business department at Argosy University – San Diego. The of my dissertation in The Effect of Colorism on African Americans in Corporate America. 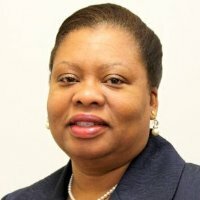 I am looking for volunteers for a 45 minute to one hour interview. The interview can be done via Skype or the phone. For information, questions, or your contact information please email me at metorres49@stu.argosy.edu. Thank you in advance for your assistance. Call for Journal Cover Design. Celebrating, Embracing and Empowering Girls and Women of Color: Call for Submissions. Meeting of NGWCC Members (Maryland). The Effects of Colorism on Girls and Women of Color: An Interview with Ng’endo Mukii (Yellow Fever). 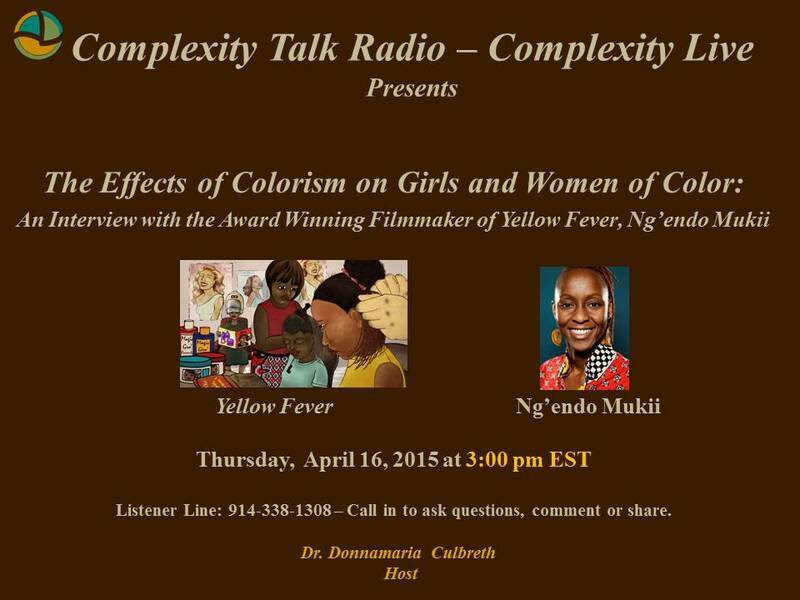 Join Dr. Culbreth and award winning filmmaker Ng’endo Mukii for a discussion about Ms. Mukii’s film Yellow Fever, a mixed-media documentary focusing on the effects of colorism on the self-image and self-esteem of girls and women of color. 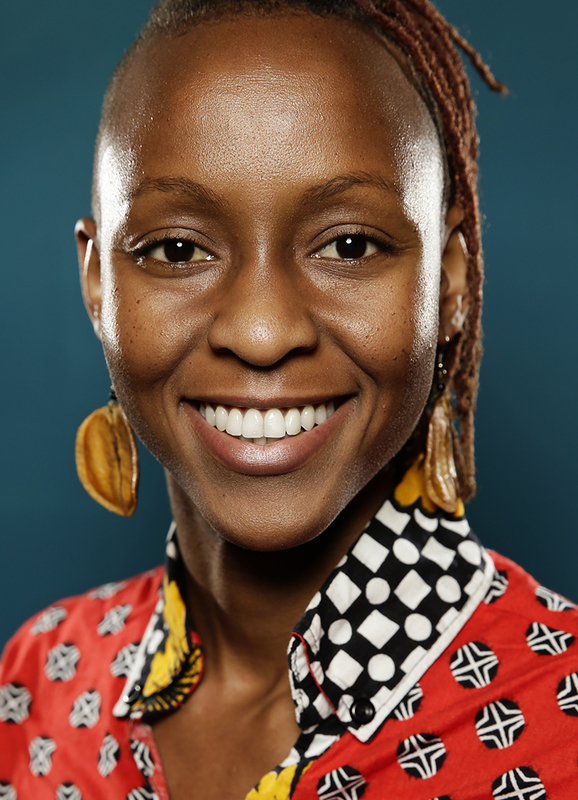 Ms. Ng’endo Mukii is an award winning filmmaker and graduate of the Rhode Island School of Design (USA) and the Royal College of Art in London. Her films include Yellow Fever, Reel, Desert Haze, Untitled: Dust, and The Mask. Her recent film, Yellow Fever is her thesis film made at the Royal College of Art (2012). Yellow Fever examines the effects of colorism on girls and women of color. Ms. Mukii is “interested in the concept of skin and race, in the ideas and theories sown into our flesh that change with the arc of time. She believes that skin and the body, are often distorted into a topographical division between reality and illusion. The idea of beauty has become globalized, creating homogenous aspirations, and distorting people’s self-image across the planet.” ​In Yellow Fever, Ms. Mukii focuses on African women’s self-image, through memories and interviews; using mixed media to describe what she identifies as a “schizophrenic self-visualization” that she and many other women have grown up with.